Where the safety of your family, pets, and investments is our foremost concern. Whether buying your next home or investment, maintaining your current property or protecting your family and assets from pests, PinPoint have a solution to suit. With our building inspections we help you uncover hidden problems before they become dangerous, expensive obstacles.  With competitive pricing, a fast 24 to 48-hour turnaround on home inspections with a comprehensive building inspection report, as well as a 100% money back guarantee on property or structural inspections, our professional building inspectors provide you with the confidence you need when making investment decisions. If you’re in need of pest treatment our fully certified pest controllers would love to report in. We utilise effective yet environmentally safe application and control methods, with chemical-free alternatives available in some circumstances, for all residential, commercial and industrial requirements. What sets PinPoint apart is our dually trained technicians whom service residential and commercial customers in Perth Western Australia for both building inspections as well as pest control requirements. Every building inspector at PinPoint are also fully trained and qualified pest controllers. While some Australian inspection companies offer both services, it is rare for technicians to be qualified in both property inspections and pest control, with different personnel often needed for each task. This is particularly important as pests, especially termites, spread when disturbed making them harder to find and treat at a later time. Our qualified and trained technicians can then apply the appropriate solution while on-site. Treating at the time of discovery increases the chances of a fast and successful eradication of them from your new home or building. By combining both property inspections, pest management and our network of tradesmen, PinPoint becomes your one stop shop for detailed pre-purchase building inspector report and services across Perth.  Receive the best value for money by conducting one of our detailed pre-purchase building inspections to ensure the purchase price reflects the home or building’s condition. We, the leading company for Perth property inspections give you the peace of mind you need to feel before buying a house. Maximise your sale price by having your home or building inspected for defects with a home report, allowing you to rectify issues before the buyer uses them to renegotiate or drag out the settlement. We will provide you Perth’s best comprehensive building inspection report under this service. WORRIED ABOUT THE STATE OF YOUR HOME OR INVESTMENT? Save money by conducting a regular timber pest, termite and building or home inspector report to discover small issues before they become large, costly ones. HAVE AN ANNOYING PEST PROBLEM? Remove termites and other insects from your home by allowing us to identify the location of the infestation and report back with a pest treatment to suit. Sky has been an excellent professional. He was always available to talk, quick in providing his service and very thorough at his work. I highly recommend his company for pre purchase building inspections in Perth. Buying a property is a very stressful process and you are always counting on the good service of the people you are appointing to help you through it. Sky has been one of these people that did both our building and pest inspections and took away the stress of a very critical face of the purchase of our new home. We couldn’t have made a better choice!